Now you can learn directly from Sheldon Natenberg! 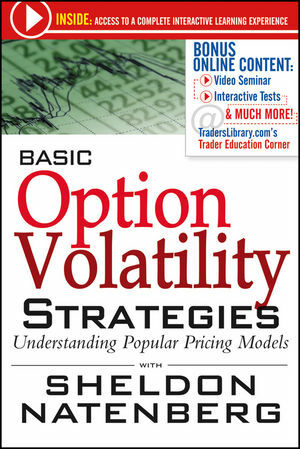 In this unique multimedia course, Natenberg will explain the most popular option pricing strategies. 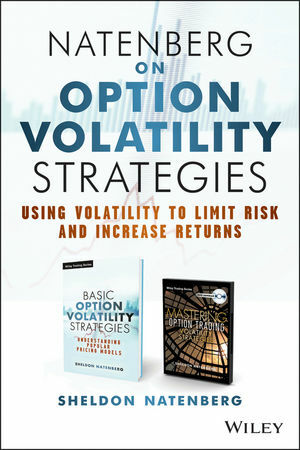 Follow along as this trading legend walks you through the calculations and key elements of option volatility in this video, companion book, and self-test combination. Get The Full Impact Of Every Word Of This Traders' Hall Of Fame Presentation. How you can use probability to estimate option prices to increase trading income. Spending time with a trading legend is usually a dream for most traders, but this is your opportunity to get the inside tactics of one of the most sought-after educators in options. With the personal touch of his presentation, Natenberg's educational tool gives all traders, beginner to advanced, access to the powerful insights that can bring ongoing option trading success. Sheldon Natenberg began his trading career in 1982 as an independent market maker in equity options at the Chicago Board Options Exchange. In 1985, he began trading commodity options as an independent floor trader at the Chicago Board of Trade. He is now Director of Education for Chicago Trading Company and is highly sought-after lecturer at professional training seminars both here and abroad.